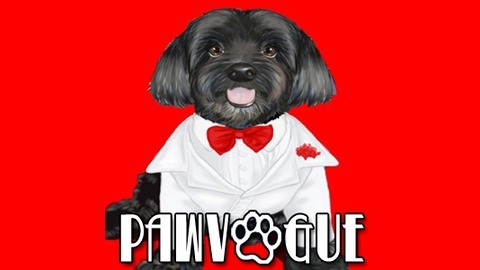 PawVogue is dedicated to the very fast growing high end pet fashion industry. 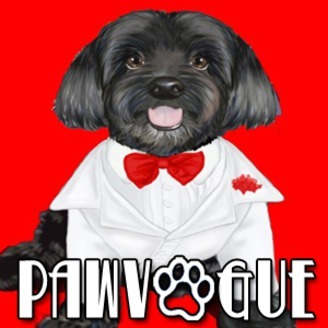 PawVogue.com is the first Pet Fashion Portal for pet fashion designers and the thousands of people who love pet fashion and fan/members of PawVogue. In addition to meeting dozens of pet fashion designers, and talking about their special designs, you will meet people and their dogs who have all come together to embrace the Pet Fashion World. Our guests will include PawVogue super-models and their moms, a very special Yorkie who has a huge walk-in closet and well over two hundred couture outfits, and a mom who just purchased her first dress for her little dog and is so thrilled. Fashion is not just for little dogs as you will meet some beautiful plus size fashionista dogs. Cuba America's Top Dog who is a well known celebrity dog in the pet fashion world will co-host the show and I will talk about his life and what it is like to be a dog model, traveling around the world. What life is like for a dog living in Manhattan plus covering all the pet fashion shows in NYC... the Pet Fashion Capital of the World. We will have special guests that we meet along the way as Cuba shows off his fashion in different cities. Cuba will be at a very nice 5 star dog friendly hotel in Maine, having a pet massage, ordering from the dog menu. He will also be in St. Barts for some fun and to work on a pet fashion ahow, then off to Philadelphia to walk the catwalk to raise money for a dog charity and finally off to Miami to be a guest model on the PawWalk to raise money for a charity. Cuba has a very interesting life so perhaps you will be able to meet some of his friends on our exclusive private dog social site, and maybe meet the love of his life, a Morkie he met 5 years ago at 12 weeks old at puppy school. Finally a party to celebrate Cuba's birthday and a pet fashion jewelry designer's new line, plus a surprise to be announced! Bob and Cuba chat with Stephanie Mattera, Mayor’s Alliance of NYC Spokesperson. The Mayor's Alliance for NYC's Animals, a 501(c)(3) non-profit charity, is the sole umbrella organization for animal welfare in NYC. Since 2003, they have been working with their coalition of 150+ rescue groups and shelters to find homes for thousands of New York City's dogs and cats. Their goal is to transform New York City into a no-kill community by 2015, where no dogs or cats of reasonable health or temperament are killed simply because they do not have homes. PawVogue - Episode 25 Lorenzo Borghese, a Prince of a Guy!